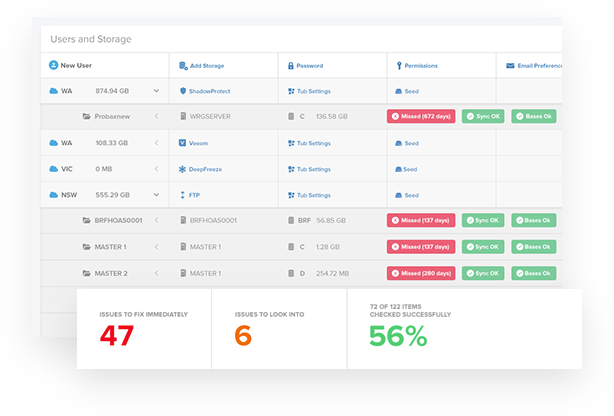 Probax Control gives you more power to choose the way you backup your data, alongside intuitive guidance for what important fixes are required. Take advantage of advanced, holistic checking and reporting on Veeam, ShadowProtect and File backups. It’s all in one dashboard for complete Control. Multiple types of backups in different locations? Keep on top of your backups without the messy manual fixes, using intelligent software developed specifically for ShadowProtect®. Automatically fix broken chains and bad files, whilst monitoring both local and offsite copies. Your accountant is going to love you. 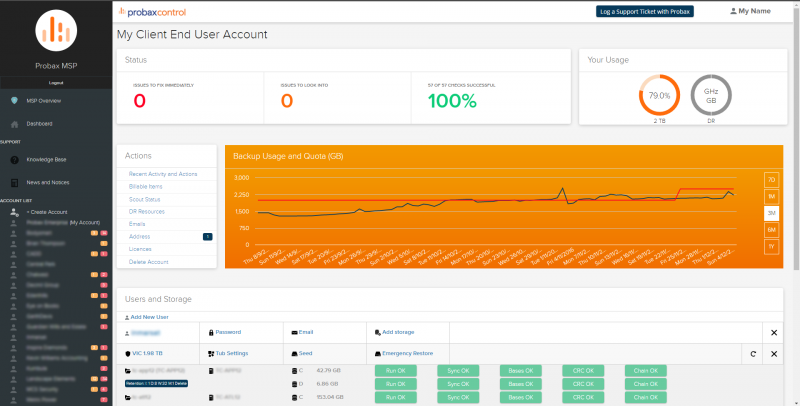 Using Control allows Managed Service Providers to support different user types with access limits and simplified exportable billing reports. If only your personal accounting was this easy. 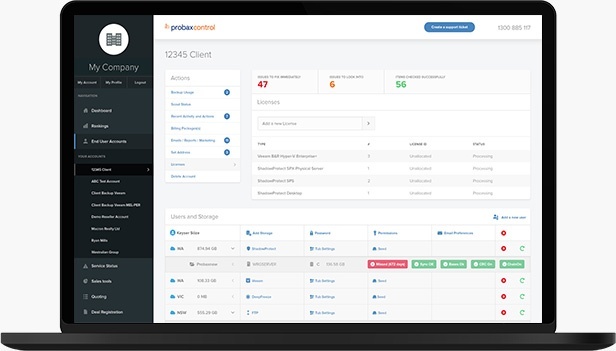 Using Probax Control puts you in the company of some of the most respected IT organisations on the planet. While teams working in backend systems rarely get the glory, Probax has become a well-recognised beacon in the tech world. Don’t waste time re-inventing the wheel. Let us work with you to market the service to your clients and win more business, more often. Our partnership plans let you scale your plan as your storage needs grow. Enjoy discounts of 35-45% on storage under our Bronze – Gold plans.